As many of you may know, Anna Kay and Heather have worked in partnership to lead the AYF for many decades. It is with mixed emotions that they come together to share news of a transition. It is with a full and grateful heart that I write to share news that Heather Richter Kiley will be leaving her position with the American Youth Foundation. This week she launches into the deep, searching for her next professional adventure. For over 30 years Heather has been a passionate steward of the AYF. 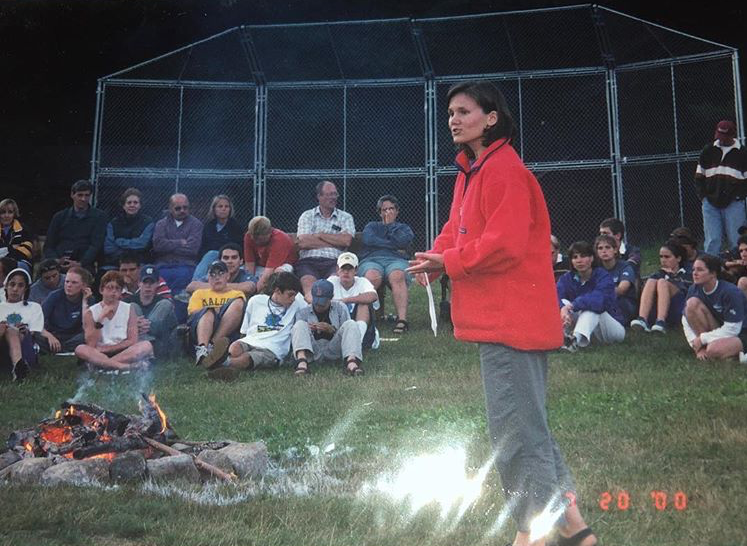 She served on staff at Merrowvista where she began as a cabin leader and quickly advanced to leadership roles that included long, strong stents as camp director, director of AYF programs, director of Merrowvista and most recently AYF vice president. It is safe to say that Heather has had her hands and heart in nearly every function required to grow the AYF into the organization it is today. If you are one of the thousands who have benefited from Heather’s gifts as a trainer, teacher, leader and above all nurturer, you know what a part of the fabric she has been and will always be. Her touch on Merrowvista is everywhere, in the facility plan, the fiscal plan, the program designs, the manuals, policies, and practices. Her greatest contributions, however, are tucked securely in the hearts and heads of the youth and staff she has shaped and inspired through her years of doing whatever was required to ensure youth were grown through quality programs that called forth their best. 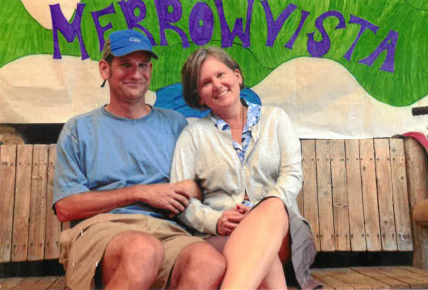 We, the AYF community, have been the beneficiaries of Heather’s best for so many years, and we send her off as she has so many campers – with some sadness, but even more with profound gratitude for all she has given. And of course a sense of hopeful excitement in knowing she will soon be unleashing her good actions elsewhere in a needy world. Go boldly Heather, and know you are taking our love there with you. My own self, at my very best, all the time…the motto of the AYF is something I have explored and taught and tried to live during my tenure with this organization. The task of discovering and developing your own, best self is not a one-time endeavor but instead a lifetime practice that I have adopted and, at times, been challenged by. I have also embraced the idea that as an organization AYF is tasked to also embrace that challenge, constantly developing and growing in how to best bring the mission to life in our work and our programs. The AYF and I have grown together during my tenure, as the mission and motto have required. And now that growth has led to a time of change. As an organization AYF is strong, with strong enrollments, a full calendar, the completion of a successful campaign, and increased engagement with our Founder Family. In recent months we have been in a process of mindful assessment, specifically looking at restructuring the organization to best position it to build from this position of strength to introduce more youth to this important mission. As AYF has grown, as I have helped AYF to grow, I too have developed new capacities and gifts that I would like to bring to life in my work. The new structure did not include a position that would allow for that; that was a match for my capabilities, experience and interests. I have been asked, and agreed, to remain on in an advisory capacity for a few months to continue to provide thought leadership and assist with the transition as needed. I will also serve in a volunteer capacity to facilitate the completion of a few major projects. My life’s work has been about bringing the AYF mission to life – both in the work we do and how we do that work together. The AYF is a part of me and of my family, and I am committed to the organizations continued success. And though I won’t be here in person, I hope that I am leaving AYF a strong foundation for it to grow in this next chapter. A foundation of love, kindness, and courage required to build communities where the mission comes alive. While I am of course sad to be leaving I am also immensely grateful for all I have learned and all the wonderful “Founders” I have been blessed to work with. I have been able to bring my best self to this time of transition by engaging my four folds, and as a result find myself even more deeply believing in the power and importance of this mission. I do not know what my next position will be, but wherever I land I am sure I will put all I have learned from my time with AYF into practice in new ways. I hope it will allow me to shine and lead as I continue to discover more about my capacities and my own, best self. It has been an honor to be engaged in this work with you. With love and gratitude, until we meet again.